Those snowflakes are drifting down (or blowing sideways!) and what you really want to do is snuggle up with your kids and read some stories. 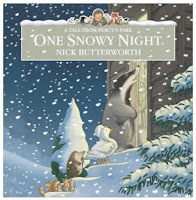 There’s something very satisfying about reading snowy-themed books when you are all warm and cozy. We love Froggy around here, and this one is a classic. Froggy wakes up in the middle of winter, SO excited to go play in the snow. Of course, first he has to get himself dressed for the cold. So he puts on clothes (each with its own funny sound effect) and flop, flop, flops out into the snow. Then the hilarious call-and-response part: his mom calls “FRRROOGGYY!” “Wha-a-a-a-a-t?” he answers back. “Did you forget to put something on?” He looks down. Um, yes. Oops. So he goes back in, and has to keep taking off some things to put on others, until it all is just too…much…effort. 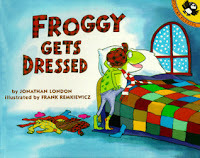 Froggy’s irrepressible antics, plus all the sounds effects, plus the punch line—which I won’t tell you—all make for a highly interactive storytime experience. 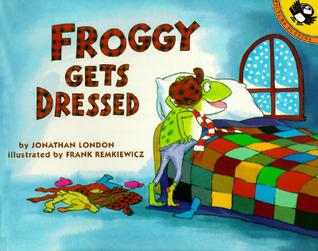 My little ones love participating in the story and “reading” the conversations between Froggy and his mother. >> If you’re doing it with a preschool group, it’s a great one to act out, or do as a flannel board story. 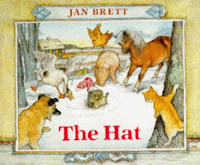 We love Jan Brett's books! This one is a favorite. As winter is coming on, Lisa decides to air out her woolens on the clothesline. Her hat blows off the line, and Hedgie the hedgehog gets stuck inside it. One by one, all the barnyard animals tease him for wearing a hat. He finally gets it off, but when Lisa comes out, she finds that her other woolens have also gone missing! As with all of Brett's books, the detailed illustrations tell a story within the story. Finding out what Lisa is doing on each page, along with keeping track of the blown-about woolens, adds much enjoyment to the story. Bear is lazy and loves ice cream. He would rather eat an icy snack, than fix his broken window pane, for instance. 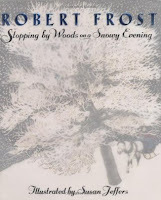 The one day he falls asleep and has a wonderful, awful dream….but was it a dream? Rollicking, fast-paced rhymes and lively illustrations. 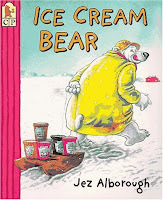 >> Make some snow ice cream afterword and call it a day! 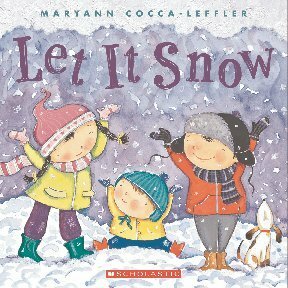 Dynamic rhymes explore the ups and downs of snowy winter days, from snowball fights to frozen toes. 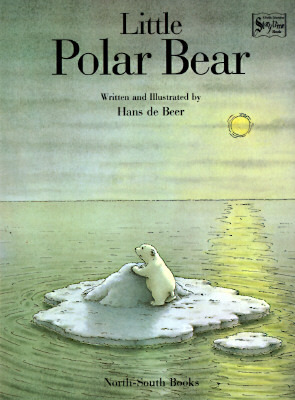 Little Polar Bear flies in a balloon, gets caught in a ship’s net and goes on a voyage, teaches a friend to fly, and has lots of other adventures (while always returning safely home) in this charming series. My kids love these and request them throughout the year. 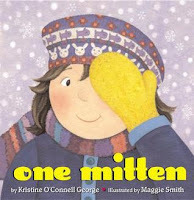 All the things you can do with one mitten…then with two! 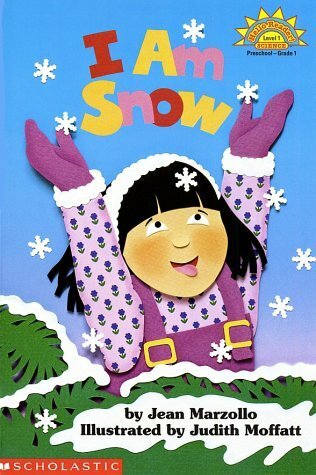 Easy rhymes and cheerful illustrations make this one a winner. 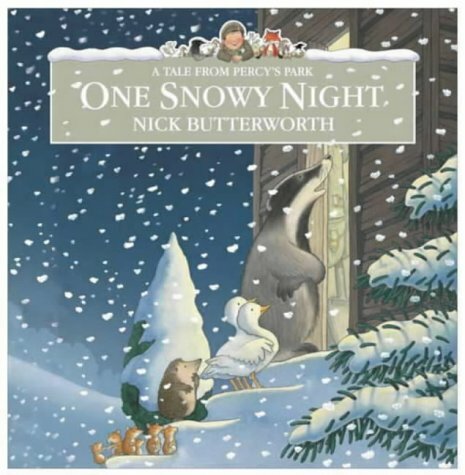 An import from England, this is the story of Percy the park-keeper, who shares his hut with a whole menagerie of cold animal friends one snowy night. We especially giggle over the interactions of the animals as Percy’s bed gets more and more stuffed. If your book is hardbound, a little knock on the back cover each time Percy hears the door makes it even more fun. This is a beautiful book. 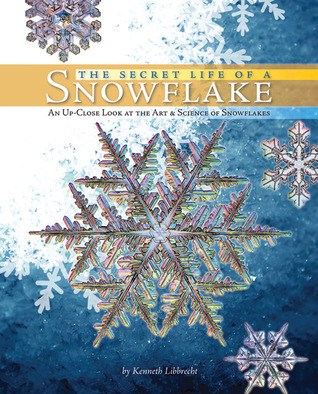 Nearly every page has a blown-up photo of a snowflake on it. The information is broken down into simple, accessible text, with just 1-2 paragraphs per page, and lots of drawings and pictures. Reading it straight through is a bit too much for my 3-year-old, but he enjoys looking at all the pictures, and picking out a page here and there to read. My older two (6 year old and almost 8) page through it on their own, or can listen to it in one sitting. >> Pair it with Snowflake Bentley by Jacqueline Martin for a whole snowflake theme! What if the natural world knew math like us? 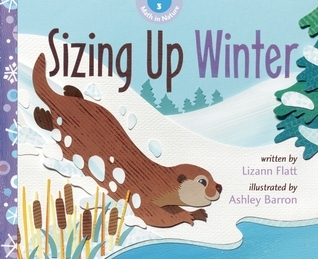 Each page explores a beginning math concept with illustrations to match. I found this one on the Scholastic book order last year and have been very pleased with it. What I like most is that it can be read straight-through as a story, for the little ones not ready for the math part, or you can stop and do the math activities on each page: counting, measuring, comparing, sequencing, and so on. My children pick and choose, but we have ended up doing most of the activities each time through. The cut-paper illustrations provide another level of interest and detail, as well. Very well done. 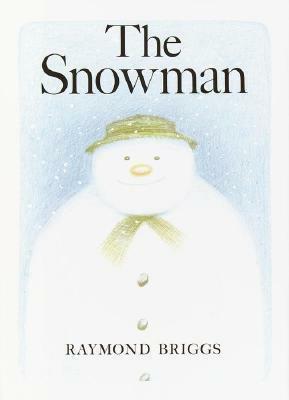 A boy makes a snowman, who becomes a real live friend! Also, there is flying. 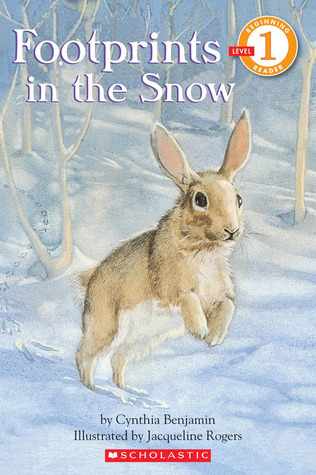 I can’t even pick this one up without the song from the animated movie going through my head, “We’re walking in the air….” Anyway, there are actually several versions of this one out there, including one with words by Raymond Briggs called The Snowman Storybook. A natural beginning to reading, as most versions are wordless, and your child gets to practice “reading the pictures,” and telling the story. 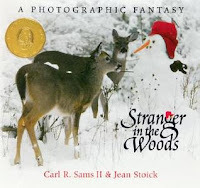 >> Watch the movie afterword, or talk about what you would do if your snowman came to life! 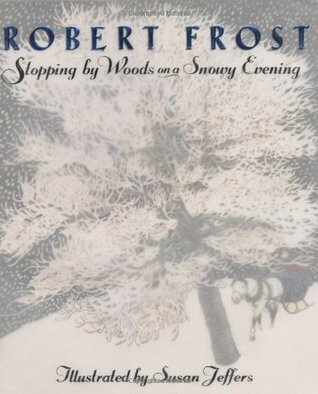 If you want some absolutely breathtaking artwork, take home this picture book that is Frost’s poem, illustrated. Each line has been given a 2-page spread, done in pencil, pen, and ink, and packed with details and warmth. Look for animals hiding in the woods! Plus, you are introducing your kids to a wonderful poem. Win-win! If you haven’t seen this book yet, you need to go find it at your library ASAP! The illustrations are all photographs of woodland animals, and the story is about a stranger in the woods that they are hesitantly approaching. It has been around for awhile, and it is utterly magical. >> This is another great one for a preschool group. After you read it, you can make your own "strangers," or make birdfeeders, or some combination of the two. An early introduction to both reading and science. Love it! Snow is described, first by what it is not: “I am not rain. I do not drip, drip, drip,” then by what it is, and finally, by what you can do in it. The language of this one has entered into our family vocabulary—we often quote those beginning pages when we’re watching some kind of precipitation come down from the sky! >> Also includes instructions for folding and cutting a 6-pointed snowflake, so of course, that’s what comes next! Colorful, cut-paper mice pair with very simple 3-4 word sentences on each 2-page spread. Satisfying, with a little twist at the end. The repetitive narrative builds confidence, while building vocabulary with the various verbs used. Have you read any of these? What are some of your favorite wintery picture books? 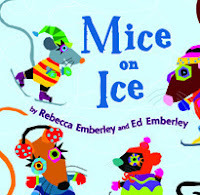 We love Mice on Ice! The rest will be going on my hold list promptly. Thanks!